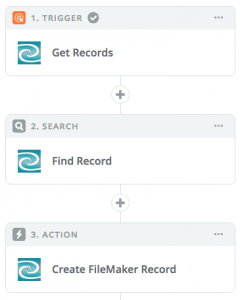 New Search feature lets you perform a search in your FileMaker app to act on. All your fields will be shown right in your actions and triggers settings so you don’t have to go back and forth to FileMaker Pro to get your field names. Your dates, times and timestamps are formatted in multiple formats, including standard JSON format. Helpful error messages added when something goes wrong. 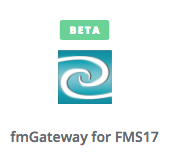 In order to make this migration from our fms16 app to our fms17 app, fmGateway is once again considered a “private” app. 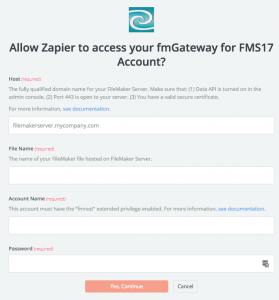 In order to get out of private status, Zapier requires that we reach a threshold of Active accounts – these are not just connections that you’ve made to your FileMaker 17 Server, but actually live connections that are scheduled and running. 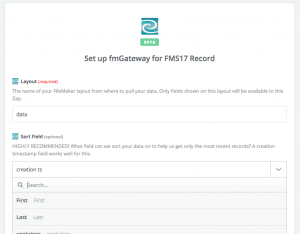 Once we’ve reached this threshold, fmGateway will be considered for “public” status, to be made available in their app directory for anyone to use. 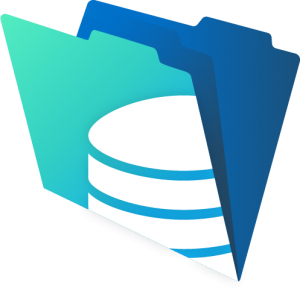 Make sure you can reach FileMaker Server’s web components from the public internet (if you can reach a WebDirect app using “https://”, you should be all set). Make sure your Zap stays live! 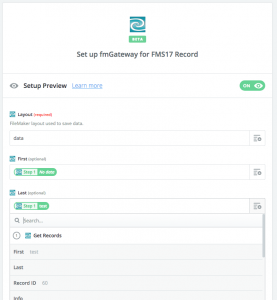 This is how fmGateway will become a public app. We’ll be updating this page and our Forums with helpful tips and often-mentioned issues.